Recently there has been a very clear shift of focus towards building content in Decentraland, which is hardly surprising considering that in only a few months time the Metaverse will launch. Yet, it is no secret that most Decentraland districts and entrepreneurs are still in the very early stages of building their communities and businesses. You don’t have to dig deep to realise that competing platforms and major brands are rapidly advancing their virtual reality testing and capabilities. Decentraland can afford no more launch delays (due Q2 2019). Although Decentraland is a very unique project in that it encompasses blockchain, virtual reality, cryptocurrency and NFT’s all into one project, each of these technologies on its own is far from new (probably with the exception of NFT’s) . This means we are not re-inventing the wheel here, and as such we can take inspiration from other projects which are doing a really good job in their own respective fields and approach. 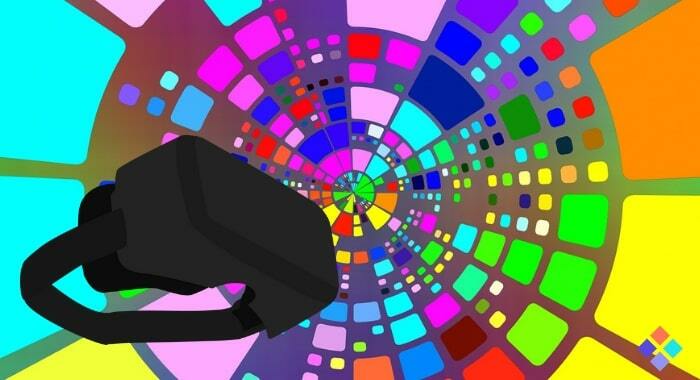 In this article, we take a look at some innovative and successful ways in which virtual reality is being adopted, in particular by big brands, and how we can take inspiration from some of the examples and possibly apply them in Decentraland. Although the low-poly limitations of Decentraland won’t allow for much of the below to be directly copied into Decentraland, it is still good to keep the mind clear and open to the possibilities of VR, as well as having an awareness of what direction the industry is going. Reggie Watts, the beatboxer with a huge cult following, recently performed his 3rd live music gig in VR, all via his 3D avatar. A fantastic approach to attracting more people to VR, who maybe wouldn’t try it otherwise. Amazon needs no introduction. In 2018, they released a video showing that they have their finger on the pulse when it comes to shopping habits, and are clearly expecting VR to take off in the near future. Anybody who has ever played poker online will more than likely heard of PokerStars. Now they are experimenting with VR, where you can smoke cigars and fire guns, all whilst having a game of cards. Facebook have started to generate some buzz with some high profile commercials for their release of the new, affordable Oculus VR hardware later this year. This could well be the future of watching ANY live events. As mentioned earlier, we are not re-inventing the wheel here. Some great inspiration can be taken from content already created. This amusement park example is no exception. We clearly have a long way to go to get to this level of graphics, but it would be great to see something like this in e.g. The Battleground district. Surely a match made in heaven? As the Decentraland community move into a building frenzy, it is important not to lose sight of industry progress. As with any project, it is vital to always keep one eye on the market and competition and to learn from their mistakes and/or advancements, and hopefully use this as just one source of inspiration when building your Decentraland masterpiece.